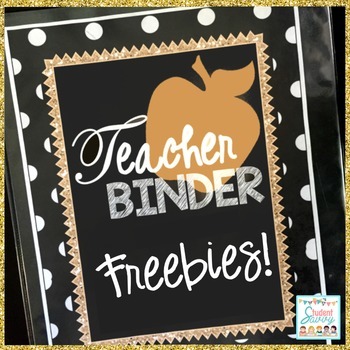 Black and Gold - Teaching Binder Freebie! 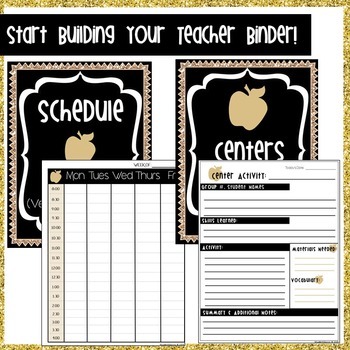 Start building your teacher binder today! 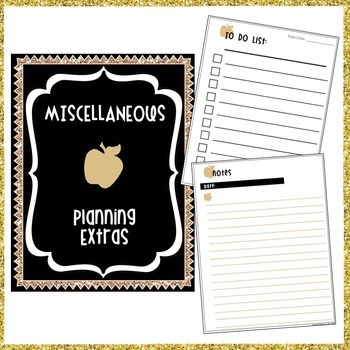 Here are several planning pages including covers, scheduling pages, and miscellaneous pages to get you started! • Go to your My Purchases page. Under each purchase you'll see a Provide Feedback button. Simply click it and you will be taken to a page where you can give a quick rating and leave a short comment for the product. I value your feedback greatly as it helps me determine which products are most valuable for your classroom so I can create more for you. • Look for a green star near the top of any page within my store and click it to become a follower. You will now be able to see FREEBIES and customized emails from my store!